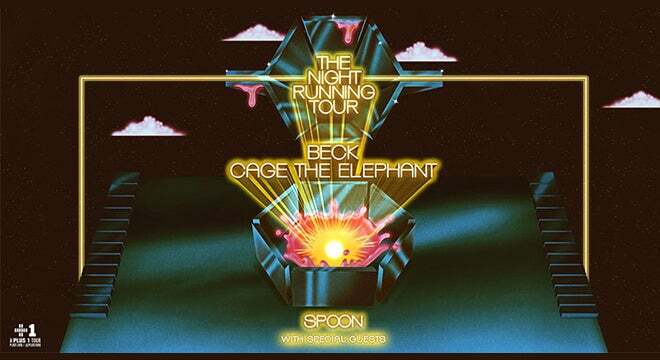 Today alternative, chart topping artists Beck and Cage The Elephant announced a North American co-headline tour across amphitheaters this summer – “The Night Running Tour”. Both artists are known for their amazing live performances and the energy they bring to their shows, making this an incredible co-headlining tour fans of both bands will not want to miss. They will be joined by special guest Spoon on all dates. Wild Belle will open as well when the tour hits DTE Energy Music Theatre on Saturday, August 3 at 6 p.m.